Where's PETA? Oh, they are focusing on cannibals now. 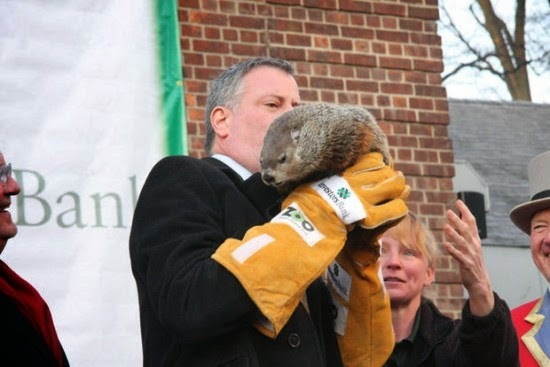 New York’s Staten Island Zoo attempted to cover up news that the groundhog accidentally dropped by Mayor Bill de Blasio during the Groundhog Day celebration died from internal injuries a week after the fall, The New York Post reported. Sources told the paper that the groundhog was a female replacement named “Charlotte.” She died from internal injuries a week after the fall, the source said. The paper reported Thursday that the zoo pulls in $3.5 million a year from the city. The staff was reportedly told by the zoo to avoid telling the mayor’s office. The zoo went with the story that the animal died from natural causes.